Ask Franklin aldermen Steve Taylor and Kristen Wilhelm and they’ll tell you they lost track of how many times in the past I’ve taken them to task on my blog. I’ve been critical of others, but those two have been at the top of my list. Franklin Alderman Dan Mayer has done little in his aldermanic tenure that’s noteworthy. He gained notoriety for interrupting and yelling at a former parks commissioner during a citizen comment period at a Common Council meeting, a time set aside at each meeting where the mayor and Common Council members are to sit and listen. Mayer’s behavior was unusual and very out of line. Actually, despicable. A mysouthnow article about a recent Franklin Common Council meeting noted there were several items on the agenda dealing with approvals of various components of the Ballpark Commons project. Ballpark Commons is in Mayer’s district. 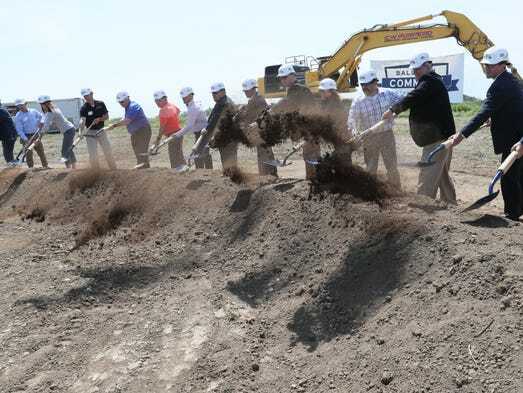 On June 7, the groundbreaking ceremony for Ballpark Commons was held. In my view Mayer has been a total disappointment on the Franklin Common Council. He also was a major obstructionist on Kayla’s Playground. Plus, he’s been a thorn in the side of Mayor Steve Olson and his efforts at enhancing economic development in our city. Look, I wouldn’t know Mayer if our carts bumped into each other at Sendik’s. He may be just like me, the absolute salt of the earth. But my goodness, on the two biggest projects in the history of the city of Franklin he has firmly planted himself in the doorway of advancement, growth, and progress. As a result I ask, what good is he to his district and the city? What are his goals and vision? If he exists on the council just to thwart the mayor and any attempt to better our city, again, what good is he? Your out of your mind. Dan Mayor is a good guy. I’ve known him for 30 years. He’s a paramedic. He saved my dogs life when I was a kid.